The name IAKSA is since many years already, the international synonym for combat sports, and the cities of San Marino, reconfirms this year to be the ideal location to bring together its members and guests from around the world. 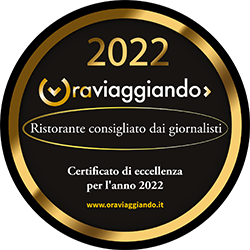 The event is continuosly growing thanks to the hard work and constant commitment of the president Mr. Giandomenico Bellettini and the Vice President Mr. Paolo Gherardi who were able, edition after edition to consolidate a capable and competent staff . The purely martial flavor of the event will melt together with a focal point of interpersonal international relations thanks to the official dinner scheduled in those days, an occasion to present and reward important Masters for their hard work and commitment in the growth of their athletes, and in the growth of IAKSA. The WORLD CUP will not only be dedicated to light discilpines of Kick boxing, like Semi Contact, Light Contact and Kick Light, but it will also leave plenty of space for the full contact: K1 Rulez and Low Kick. The big news this year is the presence of Boxing light, and the return of Karate, a sector that is showing strong signs of growth inside the federation. All this, surrounded by great show and demonstrations organized by FIKM, Italian Federation of Krav Maga, which IAKSA has chosen as partner for the growth of this event. A prestigious event for any fighter who wants to challenge opponents of the highest level and win a major title. IAKSA, FESAM and FIKM wait you in San Marino from April 30 to May 1.